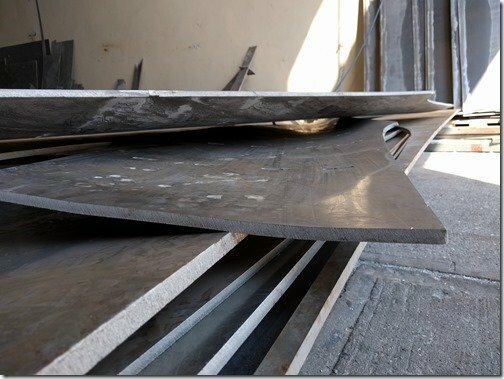 Short version of the question – why the keel bar? Long version – why use a keel bar to solve what problem and/or provide what capability? Longer version – what other solutions did you consider and why did you discard them? Interesting question as usual John. Longer Version:	Doing my best to start with a blank slate and try to make no assumptions or carry forward any “momentum of tradition” I did look into various forms of hull designs when we were first getting started. 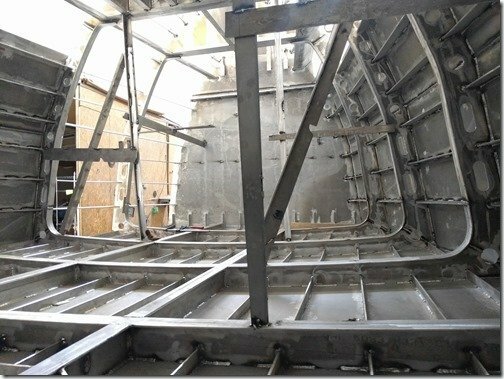 The so called “origami” technique of having almost no framework and bending intricately cut straight plate into the outer hull shape was perhaps the most novel and interesting and a technique that is being used by some commercial as well as more DIY hull builders. You are probably aware of the amazing sv Seeker project also known as “the boat the internet built” is using this technique to build an 86ft steel junk rigged sailboat that will be offered for research scientists to use when it launches and has become quite the YouTube sensation and has been great fun and learning to follow along with. 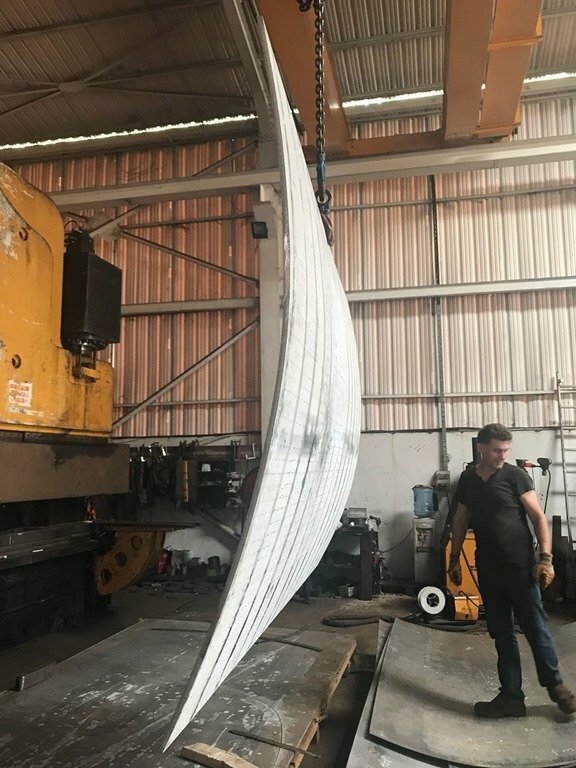 However for Möbius both Dennis and myself found that a combination of both transverse and longitudinal framing tied into an overly large central keel bar offered the optimal option for both construction and then strength once built. Design and Construction wise, having that big central reference point to tie all the frames into and ensure the accuracy of the “kit style” CNC cutting we did provided a lot of benefits including time saving, more ensured accuracy, less prone to human errors, etc. Strength wise in addition to the strength of this skeletal backbone style we have, we will leave the 25mm keel bar proud of the hull panels by a good margin so that it would be the first point of contact in most situations. One or the many attractions of going to both power and to this style of boat was how much it increased our options for high latitude sailing. Much higher speeds in much larger weather windows compared to our previous sailboat opened up much more of the world for us and so we see some ice in our future. We have no interest in being an acutual ice breaker we did want to design and engineer Möbius such that she would never be broken by ice and that we would have full confidence spending time in single digit latitudes some of the time. 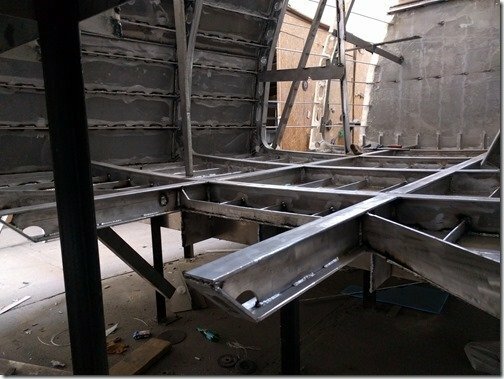 It isn’t a direct consequence of going with a keel bar based framework but based on my 12 years sailing and maintaining our steel sailboat I learned the benefit of having a grid like framework tied to a central keel bar on a metal boat in that it was relatively easy to cut out the hull plate material between one or more areas framed by the stringers and frames and weld in a new one. On our almost 25 year old steel boat this was required due to internal rusting rather than collisions or scrapes but it could apply to our new aluminium boat if we are unfortunate enough to strike something really big and hard that might require such drastic measures. I’m certainly no naval architect or engineer or anything remotely close to that John so these are simply my logic and conclusions from talking to many such experts and using my experiential learning from the past. How about the same questions for the “shark fin like” protrusion? Always a tension between directional stability and maneuverability? Not really much debate or question for us when it came to the “shark fin” or keel on Möbius. 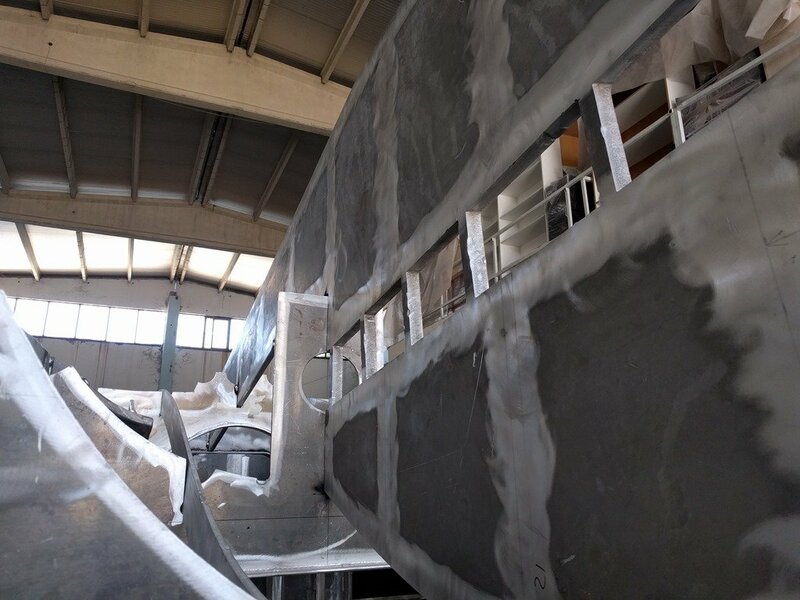 We had to have one to protect the prop and rudder in any case and so the key decisions were based around choosing the best foil shape and otherwise shaping this into the hull for minimal resistance and optimizing water flow patterns for the prop, rudder and prop tunnels. I don’t see much in the way of “bugs” or drawbacks with the keel given that you have to have something to enclose and protect the prop shaft, prop and rudder and as you noted it adds to some directional stability as well as a bit of roll attenuation. It is small enough that I don’t see there being much reduction in maneuverability given the size of our prop and rudder. 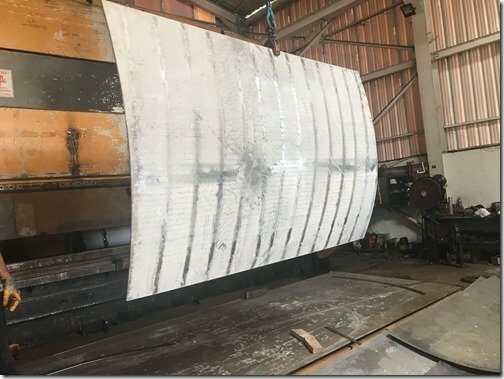 The only influence on the rudder size was in how deep to make the rudder so we have kept the bottom of the rudder a bit higher than the very thick bottom plating of the keel so it will take the brunt of any encounters with the hard bits in the oceans we travel. 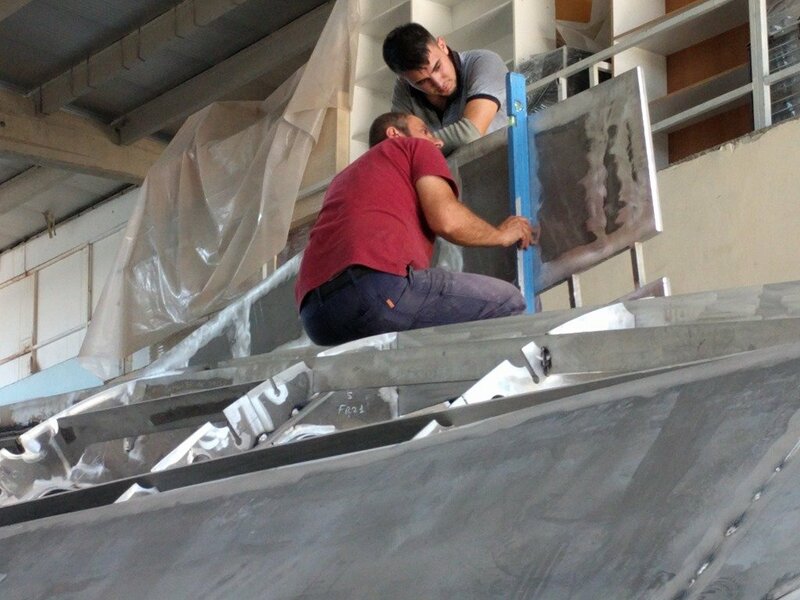 We have also designed the bottom 1/4 or so of the rudder to be purposefully “weaker” than the rest above so that it can take a good licking and the rudder keeps on ticking functionally. You seem to be making very good progress Wayne and thank you for sharing the weekly updates. 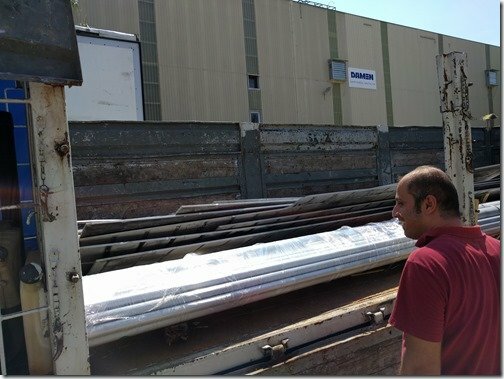 Could you answer a few questions about the use of bare aluminium? Firstly is there a choice of alloys to use? Which one did you pick and why? Are you leaving the deck and coachroof unpainted and uncovered? Is it slippy under-foot when wet? And have you considered what temperature the outside deck would reach under say the Turkey summer sun. I met the owner of a dark grey colored GRP motorboat and he couldn’t walk on it bare foot in the sun! Might aluminium be the same? 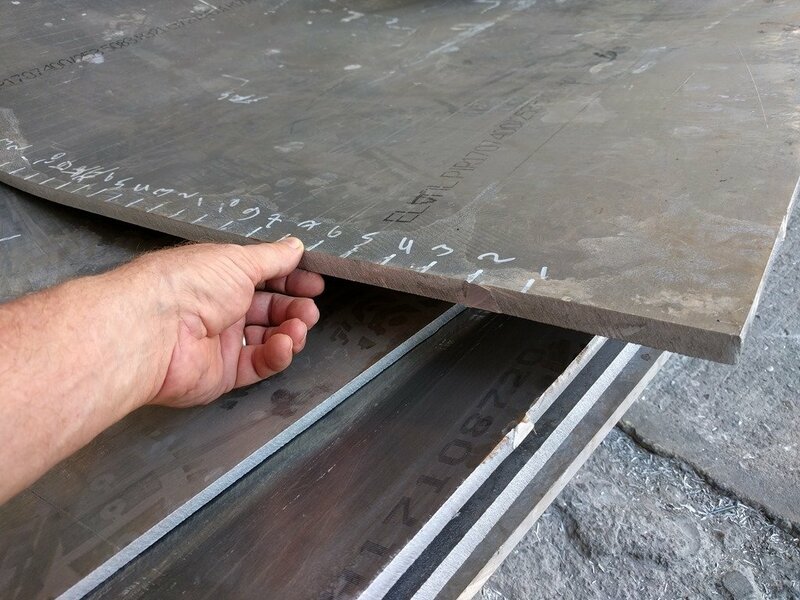 Are you making the trims from aluminium too? I think Dashew has moved to aluminium stantions etc and gone non-stainless externally. Does this mean things have to be chunkier? And are things like cleats fabricated/welded not bolted on accessories? 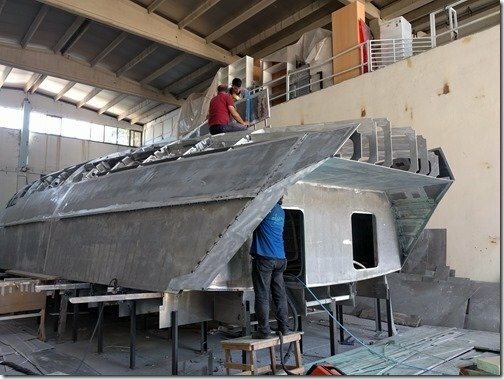 I guess all aluminium will oxidise, but I have noticed some boats (a ferry recently in Malta was horrible!) have a very visible oxide layer which has a slight smell on hands etc. 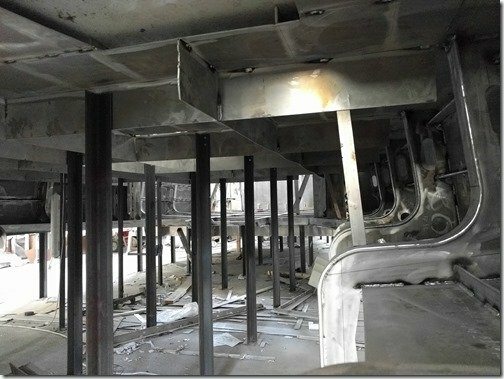 How is this dealt with – or is it in the choice of alloy? I think you can guess where I am going with this. Painted aluminium is a no for me for corrosion reasons. I am just establishing the draw backs of bare aluminium??? Hi Nigel, glad you are enjoying the blog and appreciate you taking the time to follow along and post questions like this. It is work to create the posts but I enjoy it and get lots back from folks like you plus I want to be adding value back in to the “net” overall as I have benefited and continue to do so from so many other people who take the time to articulate and share what they are doing. We all benefit and all play a part and I’m happy to do mine. 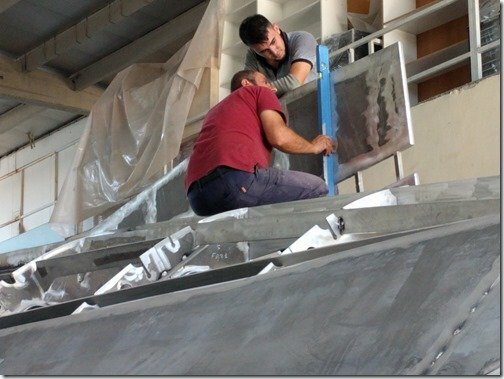 There are plenty of marine grade Aluminium alloys to choose from however in reality my experience is that once you have a given application you are shopping for then the choices become very small and obvious based on industry “best practices” that are quite clear after the thousands of boats which have been built out of AL over the past many decades. The benefit of all this experiential learning and all the time in the water which has gone by to provide real world data and insights is what those of us building anew with AL can take great advantage of. In our case we had the significant added advantage of the combined expertise of Dennis our designer out of NZ and Dincer and his team here at Naval Yachts. They got to know Möbius very intimately as well as our use cases so they were able to provide great advise and again, the decisions are pretty clear and easy once you have all these parameters to enter into the decision making. 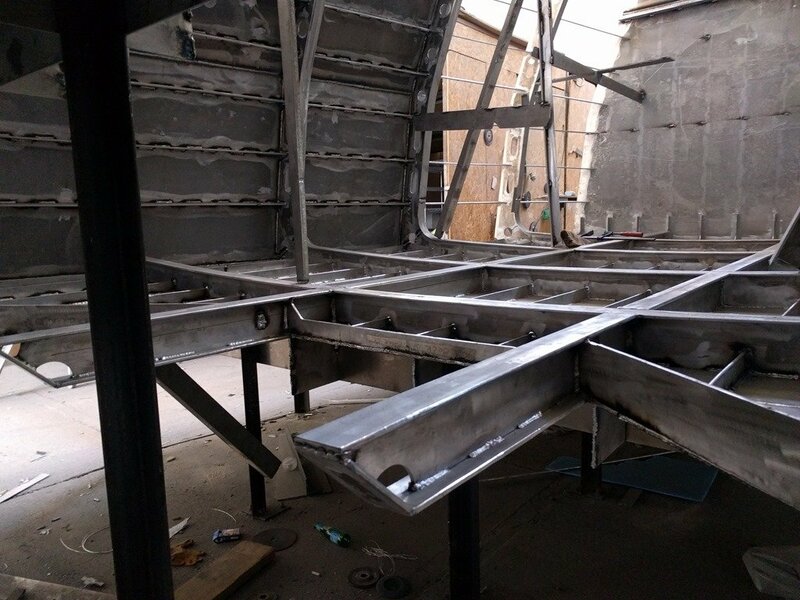 It is also important to understand that you would never likely build the whole boat out of just one allow as they all have their specific pros and cons so once you know the details of each AL part you can make the call on the allow. 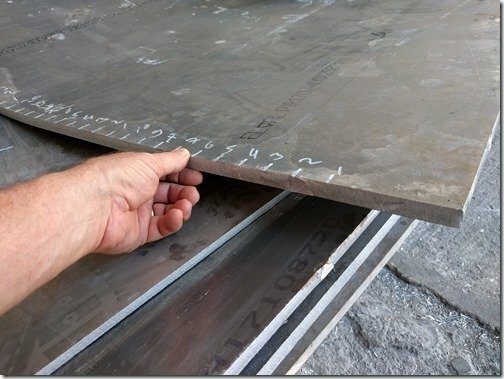 AL hull plates that will have a lot of welding and be immersed in sea water and potentially have a likelihood of high abrasion from groundings for example would call for a different allow than would our rub rails which are going to require some relatively small radius bending to make them. Stanchions and railings and the arches we are building would be yet another use case that would call for yet another alloy. I found this very brief overview of the primary allows on the Sunshine Metals site that you might find useful. 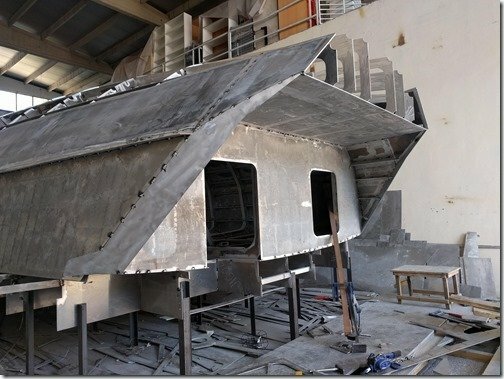 On Möbius we are using 5083 H321 for the hull plates, frames and stringers. 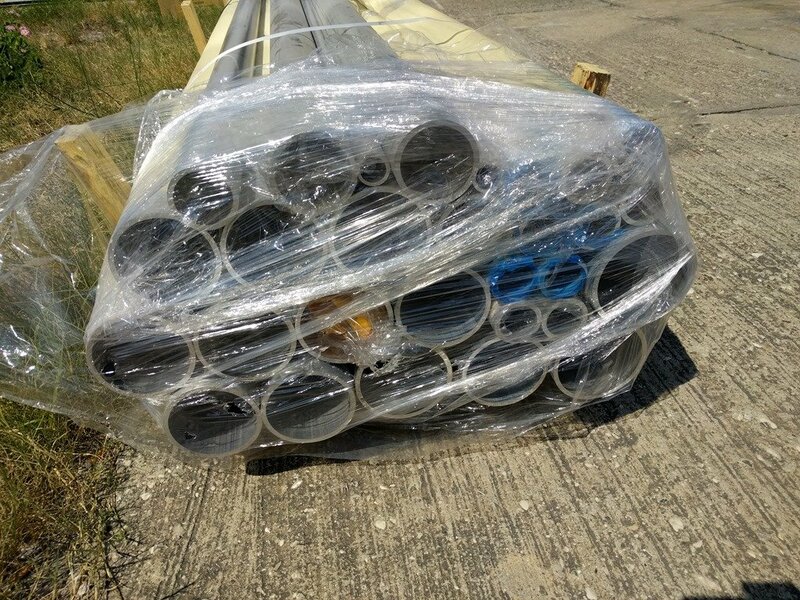 For tubing we are using 6063 T6 for pipe which will be welded on the interior edges of stringers and such to create a soft edge and good hangers and then 6082 T6 for stanchions, arch, railings and the like. Deck will be coated with something and right now most likely a Treadmaster like material which you glue down but also researching some of the paint on coatings specifically made for deck non skid such as KiwiGrip. Christine and I have spent most of our time in the tropics, Fiji, Caribbean, Marshall Islands, Polynesia, etc. so we are VERY familiar with the incredible heat absorption of deck materials. 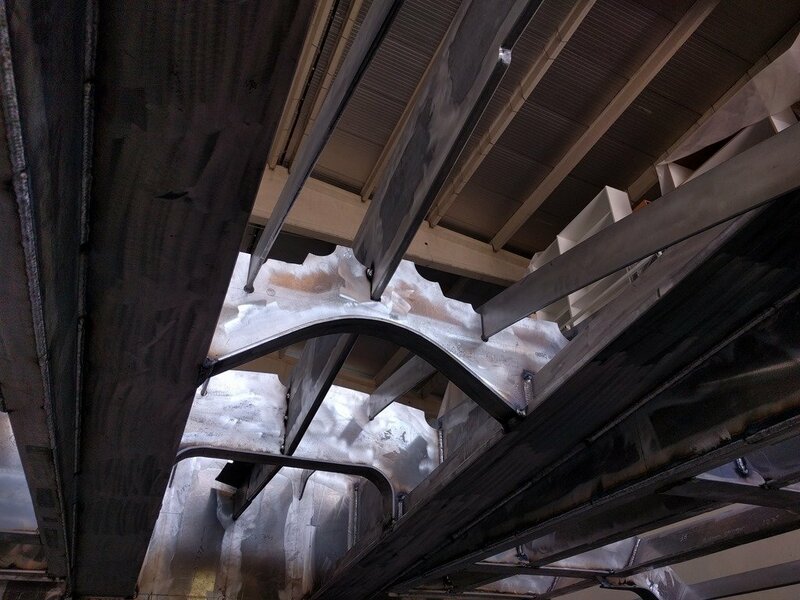 Some of the key things we learned on our last boat which was all steel was that having super well insulated below decks made a HUGE difference (we had 4″ of spray in foam on that boat, and the other key was colour of the paint or material. Anything but the purest white you can find get’s amazingly hot from the heat absorption of that colour. Even the slightest tint of ANY colour will heat up drastically more than pure white. And even finding “pure” white takes a bunch of research because what you need to find out is if there is any black based pigment mixed in there as there often is in most “white” paint blends to take off that blinding white colour. There is some good discussion on I think the Sailing forum discussing this, I think on the huge thread of the couple who was having a 49′ Besteavar AL boat built and there was some specific brands and colour names of white paint and charts of their heat absorption rates that would be helpful if you wanted to go that route. For the decks of Möbius I think we will most likely end up with a Treadmaster like material and get it in white, though true Treadmaster is no longer available in white for some reason. 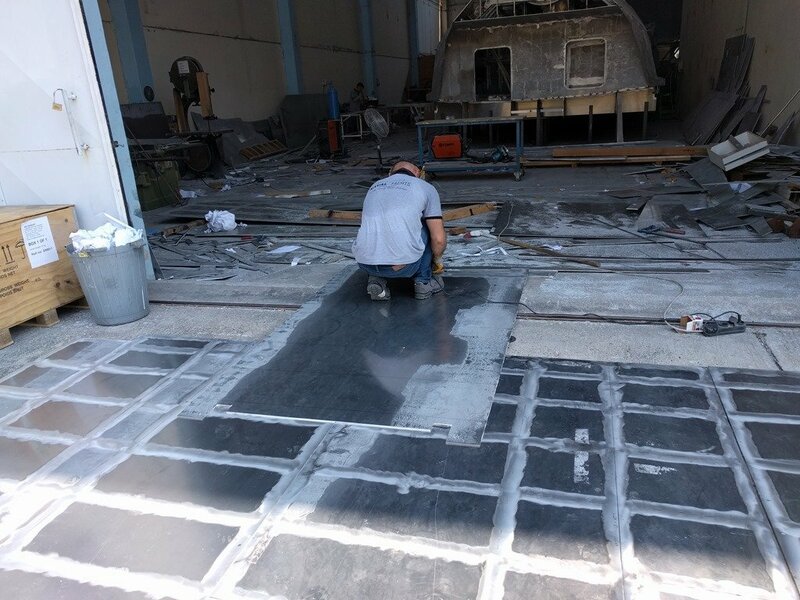 These glue on materials are a vinyl like material and is about 3-4mm thick so in addition to the good non skid surface and the pattern of groves, this material is itself a bit of an insulator which doesn’t tend to transfer or retain heat. In any case be clear that you MUST put something on top of the bare AL decks or any other surfaces you walk on as they will burn you otherwise. As for your questions about other parts on the exterior we have a list of “banned” materials on the exterior which include paint (non skid being the exception), SS or wood. Partly esthetics as we are very purposely going for a very utilitarian and quasi military don’t mess with me look so “bling” is banned. 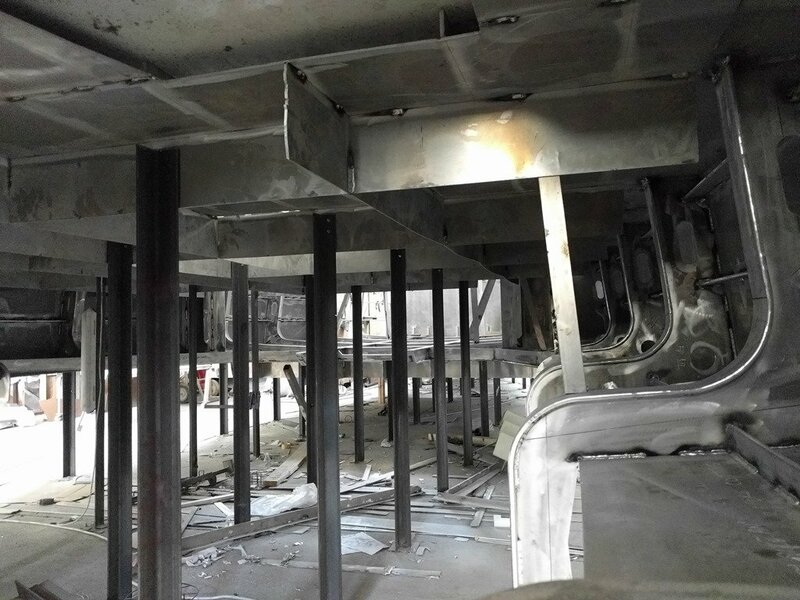 But low maintenance is another top priority so that accounts for these “banned” materials and the overall way we are constructing this boat. 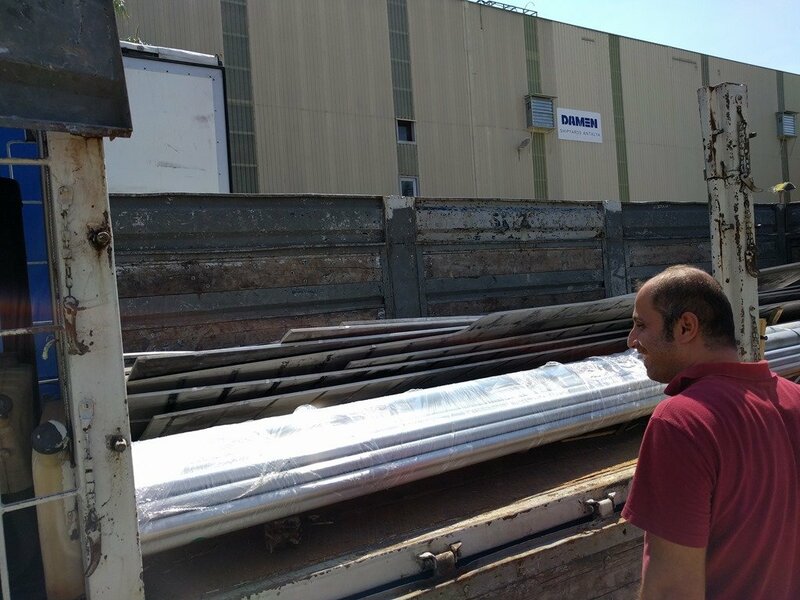 So yes, this means that we are using AL for pretty much everything on the exterior with the exception of the window glass and the Dyneema lifelines. For the most part going with all AL has not required us to design parts which are much “chunkier” than SS or other materials, at least not that you can see. The stanchions for example are about the same OD as we would have specified where they to be SS but their wall thickness is much greater but you can’t see that. I’ve also learned the value of having thicker things and mass in general for the reduction in noise and vibration transfer so the “chunkiness” can be a feature not a bug in the right places. 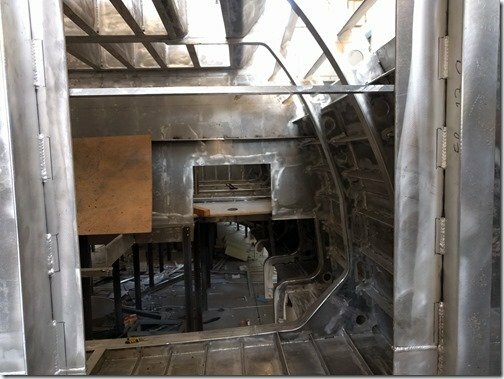 We will be CNC machining the cleats and they become integral parts of the hull by extending deep below the deck level, slotted around frames and thoroughly welded throughout. 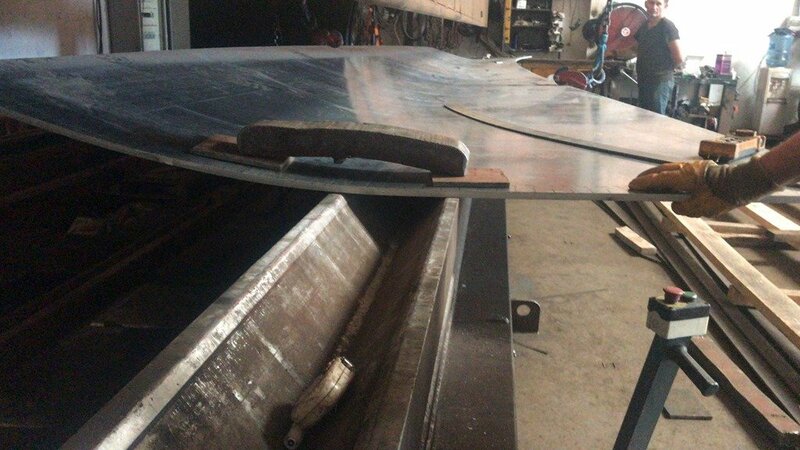 Bolt on exterior items are kept to a minimum and where we do use them they are made by welding an AL disc that has threaded holes in it to create a blind threaded hole on the deck because one of the other big items on the banned list is any penetrations of the hull. I’m still debating as to whether to make the few railings we have bolted on or welded on but if we go with bolted on they will all do so with disc flanges welded to the bottom of each railing tube with holes in it to match the blind threaded disc welded to the hull below it. No portholes or other openings in the hull sides for us thank you, no threaded fasteners of any kind penetrating the deck and so on. 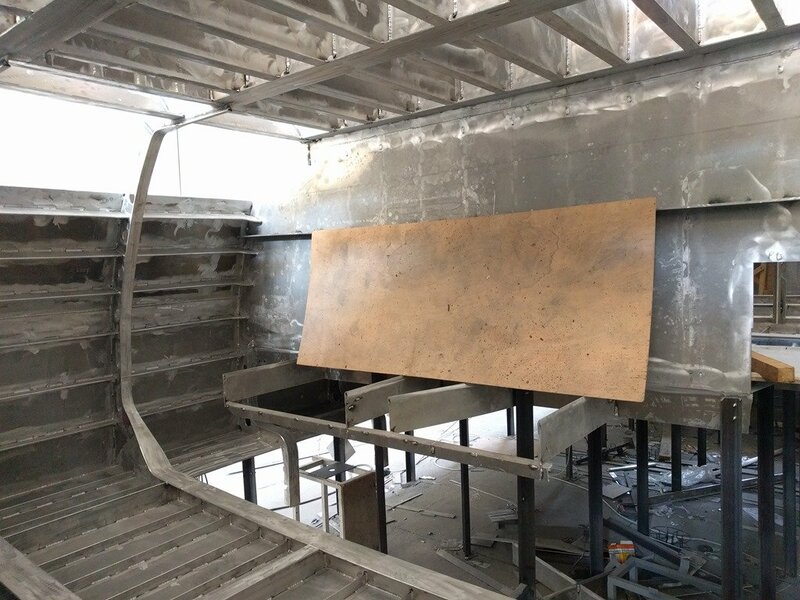 I’m designing our own hatches for example which we will fabricate here from CNC cut AL plate and the frames will be welded to the deck so we don’t have any fasteners and sealant to deal with. No through hulls either, we will use welded in place sea chests for all intake and exit of sea water, grey water and black (when at sea of course). Like all materials aluminium is not all fabulous features and does have some “bugs” inherent with it. Oxidation is one that is a bug and a feature to me. 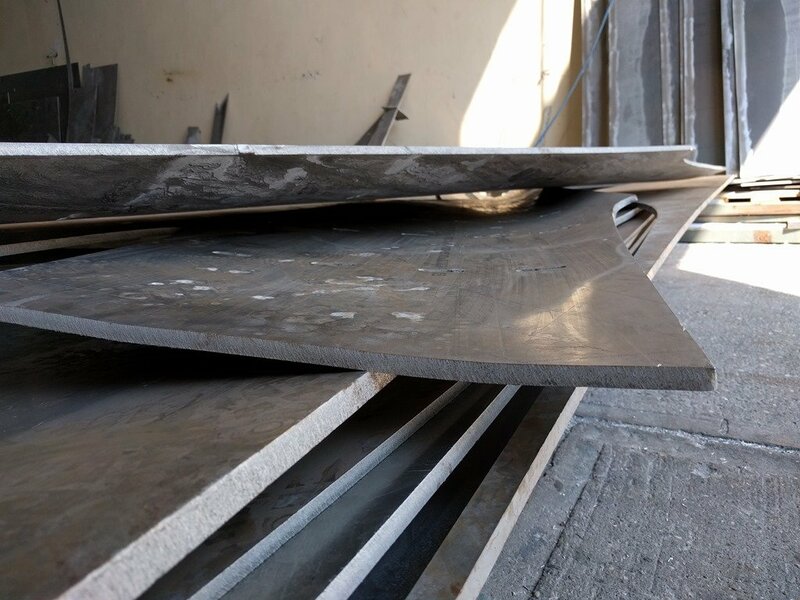 The feature part is that AL Oxide creates a very hard durable surface coating on AL which keeps it very resistant to any corrosion from sea water and the like and tends to be quite “non stick’ in terms of dirt and growth. However as most of us know or have seen, this non stick feature becomes a real bug when you want to apply paint or adhesives to AL. 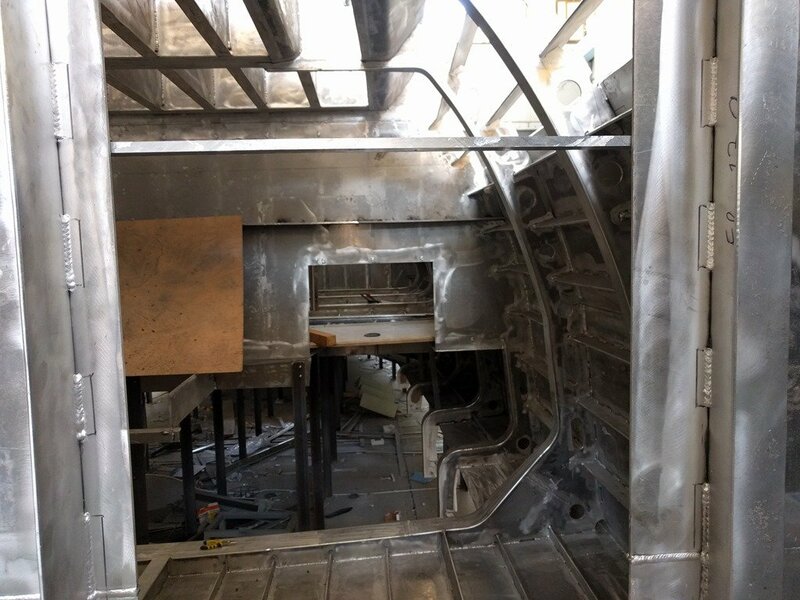 The AL oxide forms almost immediately, has a “non stick” feature even for welding which is why you see us cleaning the AL parts just before they go into the hull to be welded so that these surfaces are clean of any oxide coating where they are going to be welded. 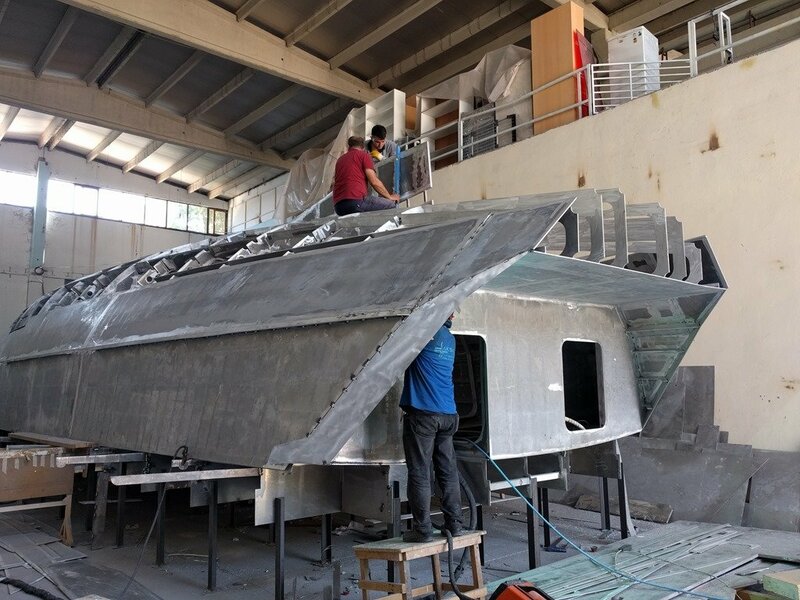 So you can paint and stick things to AL with fastidious cleaning and then immediate coating and GreeNaval paints all their GN line of hybrid boats which are all AL and their finish is mirror like and amazing. BUT as you have seen anytime that painted surface is penetrated with a scratch or a crack, water will quickly start to slither its way ever inward and creates an oxygen starved wet environment which means that you don’t get oxidization you get poultice corrosion which quickly eats the AL and creates that white dust or toothpaste like stuff you see oozing out of those damaged areas and continuing to grow. The other “bug” which you refer to is that some of the AL oxide does rub off and quickly turns your hands and feet black as it sounds like you discovered on the Maltese ferry. We are very conscious of this and will take a number of steps to minimize it on Möbius. Deck won’t be much of problem as there won’t be much in the way of exposed AL to walk on as it will all be covered by non skid material of some description. For other parts like hand rails that you touch regularly we will have those anodized so they and your hands stay clean so in the end I think we can really minimize this blackening aspect of AL. I have not read if one alloy of AL is any better or worse than others for this but I don’t think you would choose to use an alloy for this reason if it would compromise its other strength and benefits for those parts. For me then I take the approach of being aware of this blackening aspect of AL and figure out ways to minimize or eliminate it. You’ll have to ask me in a year or two how that worked out but again, there are a LOT of AL boats out there and it does not seem to be an overall or unsolvable problem. I hope this comes across as intended Nigel. Not meaning to be defensive or say that AL is “the best” material or one with no drawbacks or faults. It is the clear winner for us in so many ways and we are liking it more every day working with it here as we build Möbius. 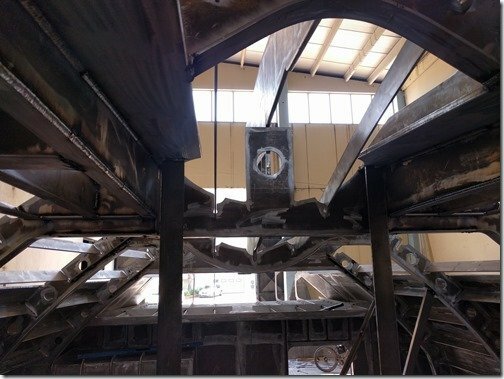 I think the best way to treat any material you have on a boat is to be aware of its less appealing aspects, bugs and drawbacks and then do our best to work around these. 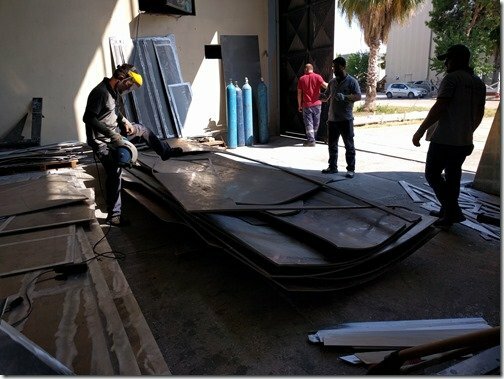 So far in my experience there are good work arounds to all the faults of AL and the benefits far outweigh these and make it an excellent material for boat building in general. 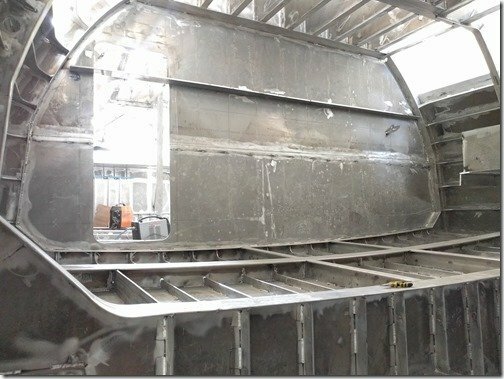 Might be of interest to you and this point that I just read the latest issue of Professional Boat Builder magazine ** and it is all on AL for boat building because they are getting so many requests over the past 5 years for more articles on this material. 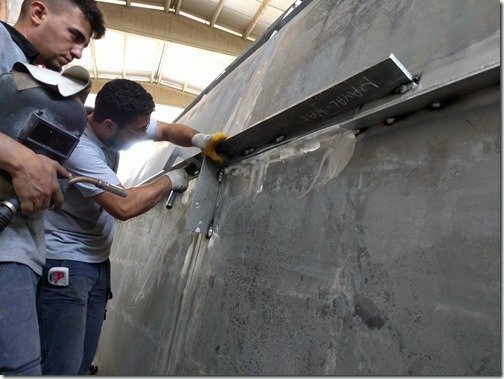 When you add its excellent machinability and weldability and the exponential growth and features of CNC cutting and machining which make customized one offs no more costly than other materials or methods, I will be surprised if AL does not become the material of choice for most boats other than large production runs and I think this has already happened in the ship building industry. ** I recommend Professional Boat Builder magazine to anyone interested in boat building AND all the more enthusiastically with their recent decision to open up their entire back issue archive free of charge. I bought every back issue a few years ago and am very happy I did and I applaud their decision to support the industry even more by opening their entire archive for no charge. Worth checking out. Thank you for your long answer Wayne. Lots of interesting info in there and I will check out Professional Boat Builder. Choice of deck covering is hard. If you go with kiwigrip, presumably you would prime and paint first and then you are into the bubbling paint territory that you want to avoid. If you choose Treadmaster, then I guess you can get unseen corrosion under ? I know that yacht masts are anodised to make them look smarter and stay nicer to handle. I have not seen it done but I suppose its electroplating in a chemical bath of some kind. Is it still possible to weld an anodised part? If not, I guess its use is limited to bolt on things. I have noticed that sport-fishing boats, for example, seem to use a shiny aluminium for their tuna towers and biminis etc. 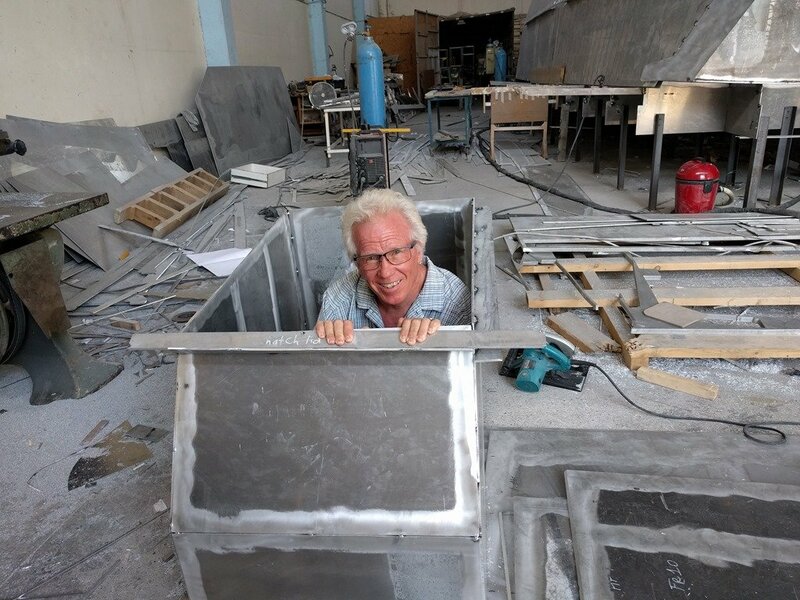 This seems to stay nice, maybe its a special alloy as I cant think they get those structures into an anodising bath somehow! 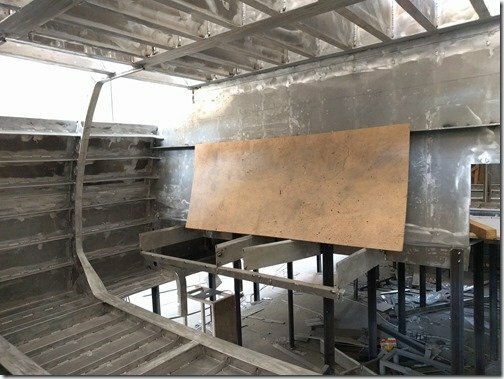 In passing, I think it would be nice to have a finished boat renderings, elevations and a general arrangement plan on the website homepage to give a frame of reference. Would that be possible? Unfortunately for you and others here Nigel long answers are all I’ve got! Do check out PBB when you have time, free subscription that only takes a few minutes if you like what you see and as I mentioned they now make their entire archive of back issues available online for no charge. Another resource you might want to check out is the Attainable Adventures blog at morganscloud.com. John and his wife Phylis are long time sailors on their 54′ aluminium sailboat and he runs this subscription based web site that is another excellent source of good first hand information on many valuable topics including how to maintain aluminium boats, electronics, batteries, and so on. 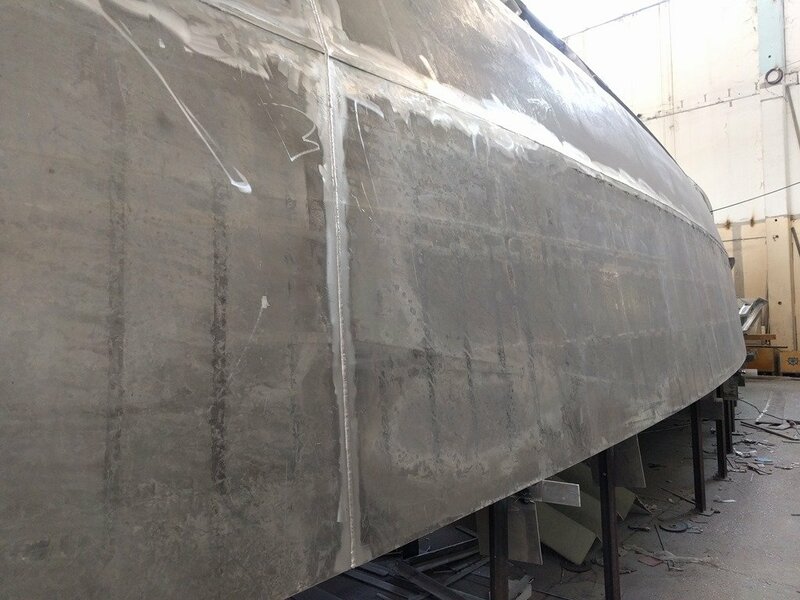 You have it quite right about the dilemma of putting any coating on aluminium decks, either paint or glued on material open up the possibility of entrapping water under them with no oxygen which quickly leads to poultice corrosion. Paint has the quasi benefit of showing such damage more easily than glued down material but requires more maintenance to keep up. The flip side of that is that if/when you needed to replace the non skid treatment the painted on method is a bit easier to remove than the glued on material, however it probably is a wash over the long term as the Treadmaster like material or synthetic decking choices typically seem to last a good 20 years. 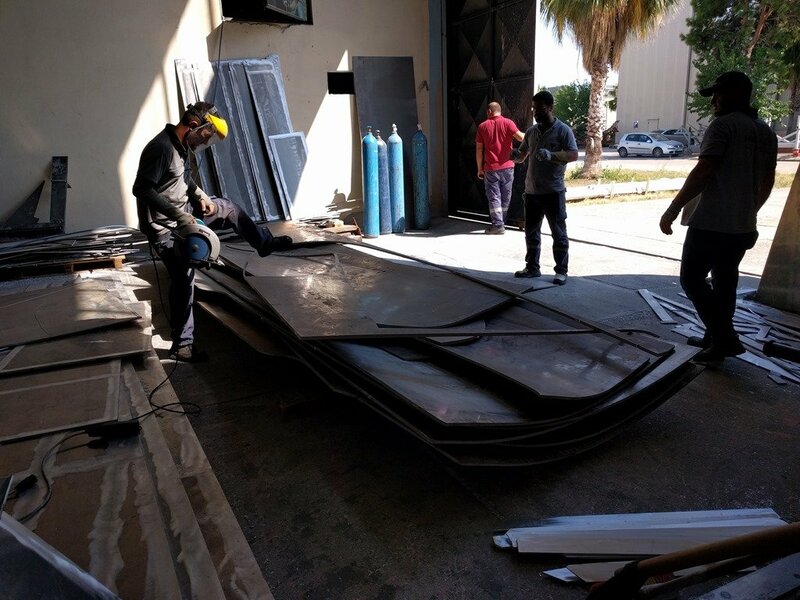 Either method of creating non skid decks works though and the key is extremely careful surface preparation and application. As I said right now we are leaning more towards the glued down approach as it offers a bit better non skid especially in freezing temps and snow apparently and also likely to be a bit more feet friendly in tropical sun conditions being a bit of an insulator itself. Stay tuned as the construction continues to see what we end up doing. Anodising is pretty much the same methodology as chrome plating in that it is an electro chemical process. 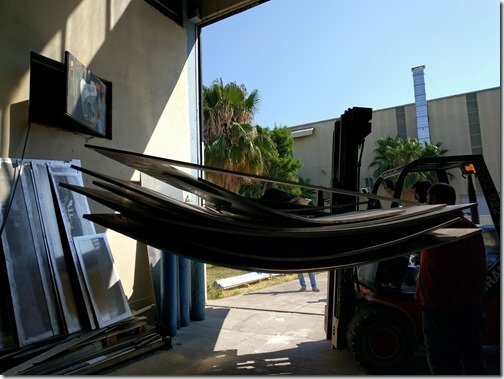 My understanding is that the companies which make anodised arches and the like use anodized tubing which they carefully bend and then weld up. 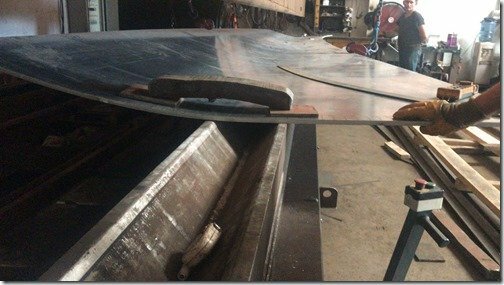 In the weld areas there is debate amongst the manufacturers as to whether is better to leave the welds bare or cover them with either clear lacquer or paint. 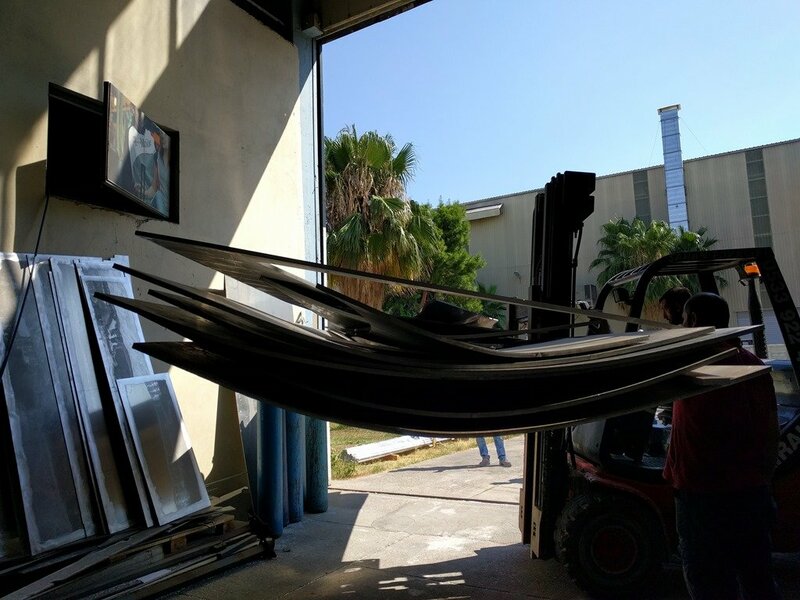 The other option is to have the whole assembly powder coated which is also an thermo process of spraying electrostatically charged paint (in powder form) onto the aluminium. It is thicker than anodising but can chip under some circumstances. We won’t use much if any of these coatings on Möbius but I keep them in mind for things like a few hand holds or other places where we would be literally handling frequently and having the black oxide become annoying on our hands. You are not the first to ask for more drawings and renderings and GA’s and we are working on getting more drawings, models and renderings of Möbius up on the site and just this week Burak created a nice little 3D model in HTML that Christine is now working on adding to the blog. 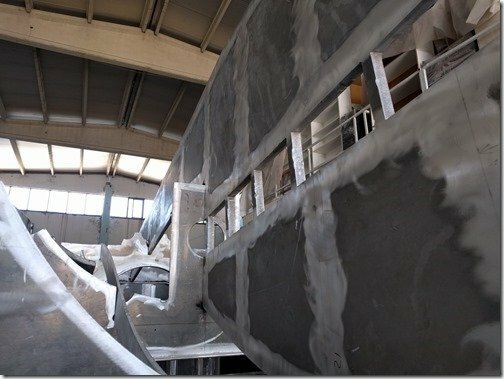 You will be able to manipulate this 3D model on the screen to explore the boat a bit better that way. I’ll see if I can put up a post this weekend that has more of the GA drawings, profiles, etc. 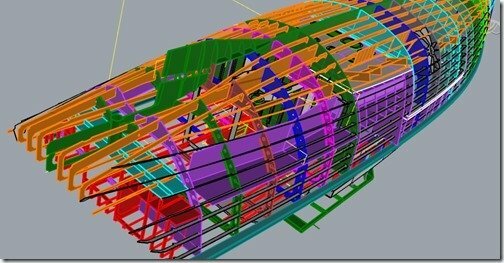 In the interim, if you go back to one of the first posts called “Project Goldilocks: Mission Impossible or Just Right” there is a rendering and a top and side drawing at the end of that post. Working on getting you more ASAP.